If last Friday’s U2 show was the unofficial beginning of Summer Concert Season in St. Louis, then this weekend, things officially get rolling. It’s going to be a busy weekend in St. Louis, as far as the music scene is concerned. Things get started Friday night at The Pageant. Jimmy Eat World will be making a stop on their Integrity Blues Tour. Tickets are still available for the show at $29.50. This is a show that has been on my radar for quite sometime. I feel Jimmy Eat World is one of the more underrated bands on the rock scene, having carved a very nice career, with a number of great songs. 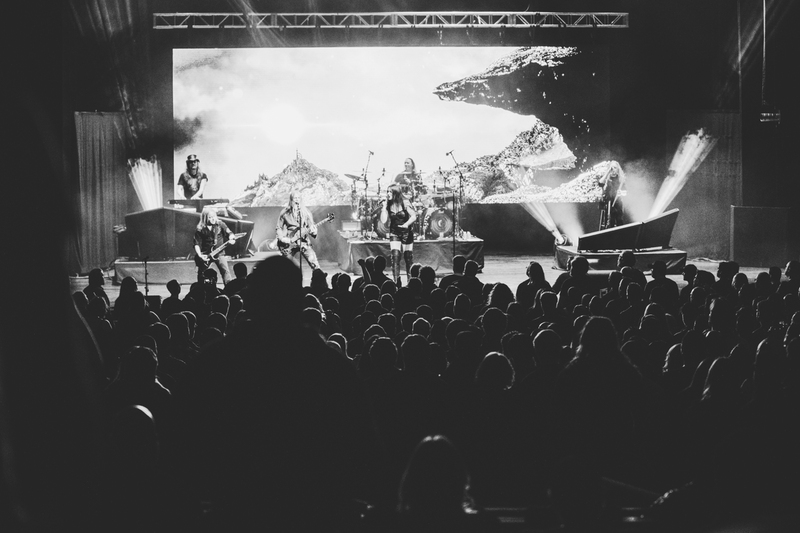 On Saturday, music fans will have multiple options to choose from as Pointfest opens the Hollywood Casino Amphitheatre concert season and Hall and Oates, along with Train play the Scottrade Center. Pointfest will feature Alice in Chains, Shinedown, Stone Temple Pilots, Blue October, Candlebox, and more. The lineup is very attractive to fans of late 90s and early 2000’s rock. The show kicks off at 3 p.m. and tickets are still available. If you’re not a fan of the heavier rock, maybe Hall and Oates and Train are more your speed. The groups will be at Scottrade Center on Saturday evening. The show will get started at 7 p.m. There is currently a special on lower level tickets for $29.50. On Sunday, Brit Floyd, popular Pink Floyd tribute band will play a show at Peabody Opera House. The show is scheduled to start at 8 p.m. Tickets are still available for the show. Also on Sunday evening, Little Steven and the Disciples of Soul will play a show at River City Casino. Steven Van Zandt is probably more known for his role in The Sopranos, as well as being a member of Bruce Springsteen’s E-Street Band. Nonetheless, this looks like it would be an enjoyable Rock & Roll show. If the list of shows for the upcoming weekend are any indication, things are going to be heating up in St. Louis real quick.